The Moscow Mule is a great summer drink. Three simple ingredients – vodka, ginger beer and lime juice – taste so good together. But they do require particular drinkware. 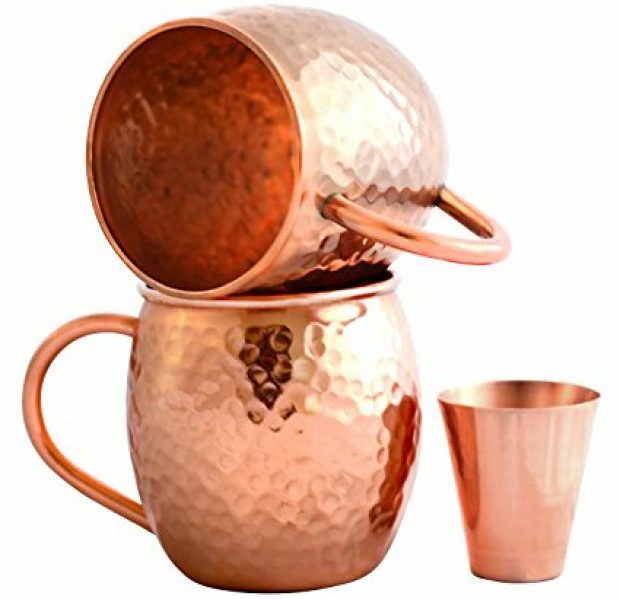 Today only, you can get the requisite set of copper mugs (complete with a copper shot glass for measuring) for over 60 percent off. The best part? The mugs are made by Willow & Everett, veteran-founded and operated company that donates a portion of its profits to the Wounded Warrior Project. There are few better feelings than enjoying a refreshing beverage while also supporting a meaningful cause. Thank you Willow & Everett for making it possible, and thank you Amazon for providing this discount today.